The current cathedral is actually the fifth built on this site since 1818. The 1908 structure, which preceded the current building, was a splendid basilica that was destroyed by fire in 1968. The new building, designed by renowned Franco-Manitoban architect Étienne Gaboury, incorporates the façade and remaining walls of the 1908 building. 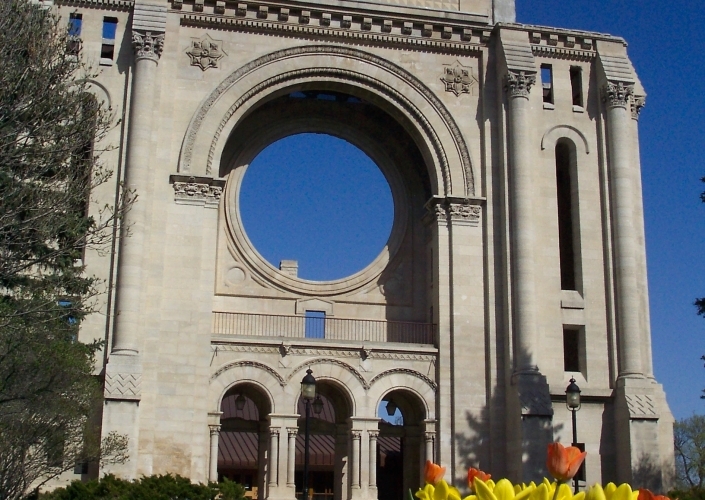 An unusual architectural achievement, the Cathedral attracts thousands of visitors each year.